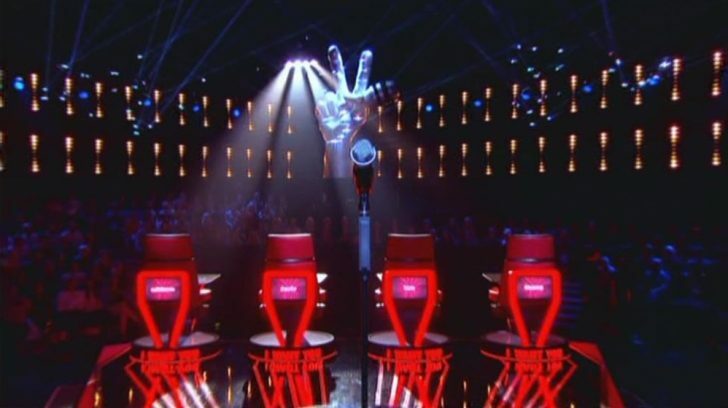 The BBC has announced that its most successful new entertainment show – The Voice UK – will return to BBC One on Saturday 30 March 2013. Superstar Coaches Sir Tom Jones, Jessie J, will.i.am and Danny O’Donoghue are back in search of the best new singing talent from across the country. As one of the biggest international TV formats, with an average UK audience of over nine million for series one, The Voice UK gives people with real vocal talent a potentially life changing opportunity to have a career in music they’ve dreamed of. With over 140 million album sales and countless number one hits between them – Jessie J, will.i.am, Danny O’Donoghue and Sir Tom Jones – will coach, train and develop their Artists through the competition until one is crowned winner of ‘The Voice UK’ and begins their career in the music industry signing an exclusive record deal with Universal Music. Hosts Reggie Yates and Holly Willoughby return to the show bringing the audience closer to the Artists as they follow all the action from backstage at the Blind Auditions right through to presenting the Live Finals. Last year’s series saw all four finalists, winner Leanne Mitchell, and runners up Tyler James, Bo Bruce and Vince Kidd, go on to start making their way as Artists, all recording albums and learning from the best in the business after being watched by millions on The Voice UK. The show’s format is made up of four stages; the Blind Auditions, the Battle Rounds, the Knockouts and the Live Finals. And this year, in an exciting new twist for this series, the Coaches can “Steal” a losing Artist for their own team. So if they missed out on an Artist they loved during the Blind Auditions, now’s their chance to finally grab them for their team. Each Coach can only Steal one Artist during the Battle Rounds, so they’d better make that Steal count. If more than one Coach tries to Steal the same Artist, then they have to pitch to the Artist once again to persuade them to join their team, in the same way as the Blind Auditions. By the end of the Battles, each Coach will each have seven Artists remaining on their team and from now on, there are no more second chances.